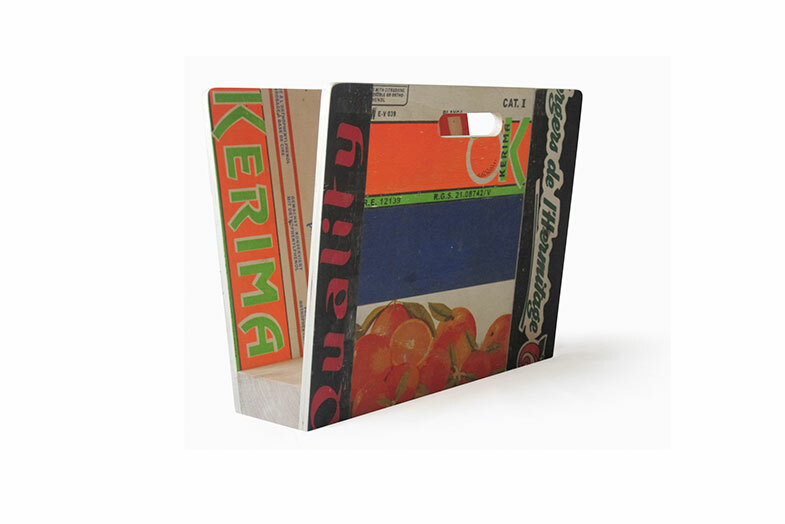 Made from recycled silk-screened plywood fruit boxes. Each item is unique and part of a limited edition of 100, stamped and signed. Please note that the graphics will vary from the images shown.